May 26, 2016 – Osborne, Kansas – Osborne Industries, Inc., a leader in the development of RFID (radio frequency identification)-driven swine management equipment will be debuting ACCU-TEAM™ at the World Pork Expo, in Des Moines, Iowa, June 8-10, 2016. Osborne can be found at booth 451 in the Varied Industries Building. The ACCU-TEAM system is the first and only patented electronic sow feeding (ESF) system with integrated animal weighing technology. The system reliably captures individual body weights inside the feeding station to better target-feed sows and gilts throughout gestation. Producers and researchers have the ability to use the ACCU-TEAM system for dam selection for mature target weight in gilt development. Currently used to test differing feedstuffs and feed additives by specialized research facilities, ACCU-TEAM will be introduced to the industry at the World Pork Expo. The backbone of the new ACCU-TEAM system is Osborne’s TEAM (Total Electronic Animal Management) ESF system. 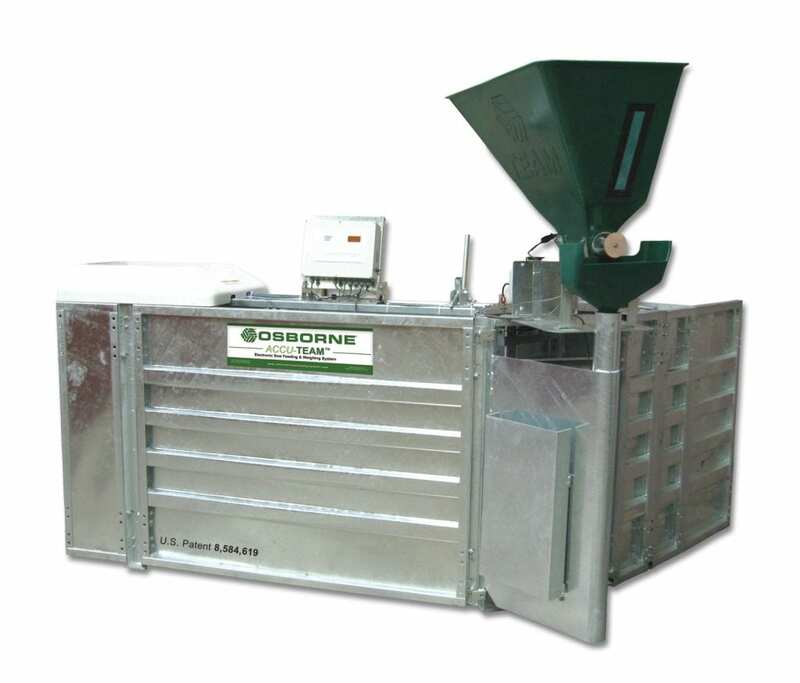 TEAM operates as a trusted and proven ESF (electronic sow feeding) system, developed through the collaboration of Osborne and various European companies in the 1980s. Osborne refined the system at their demonstration farm in the 1990s, and to this day, continues to supply its “rock solid” ESF system all over the world. To learn more about all of Osborne’s innovative swine management equipment and the all new ACCU-TEAM system, visit booth 451 in the Varied Industries Building at the World Pork Expo, June 8-10, 2016. For more information, contact Osborne at 1-800-255-0316 (1-785-346-2192), e-mail info@osborne-ind.com or visit osbornelivestockequipment.com.